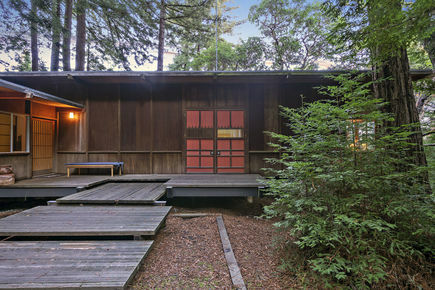 Private home retreat nestled in a 5 1/2-acre Redwood forest with a view of the Bay and heritage Redwoods, just eight minutes up the hill from downtown Woodside and Highway 280. 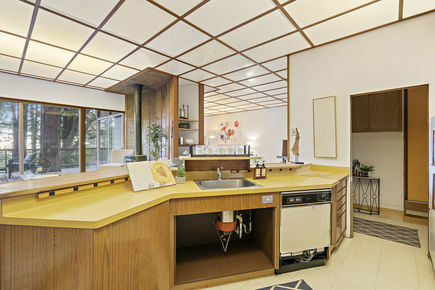 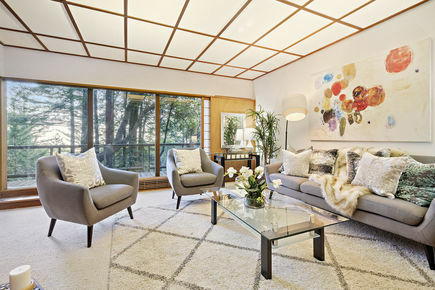 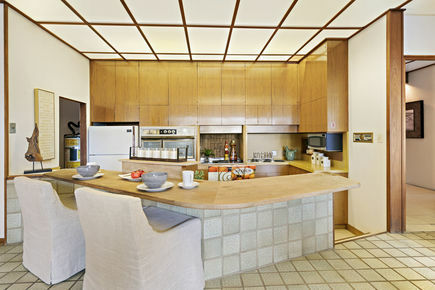 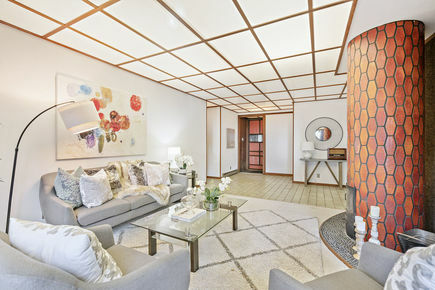 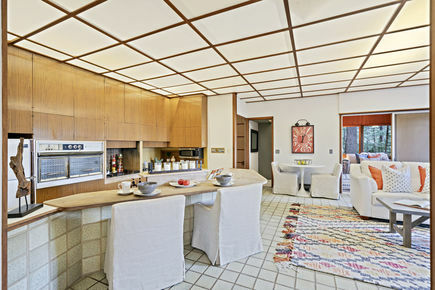 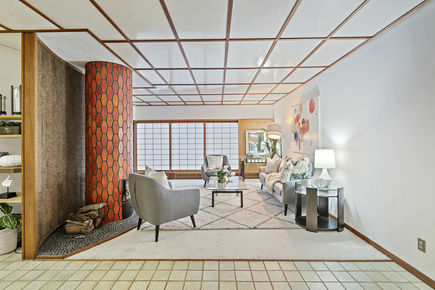 The custom built mid-century modern style home, with a strong Japanese influence, offers an expansive open living space, sunken kitchen, and solid Mahogany trim. 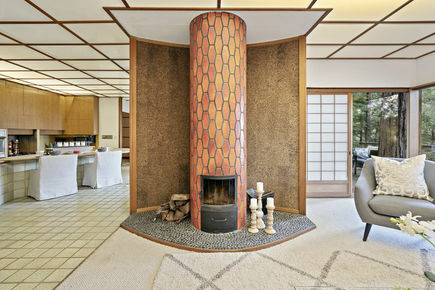 The living room features a truly one of a kind Kachelofen style masonry heater, which, along with the gas fireplace in the family room, helps fill the home with warmth. 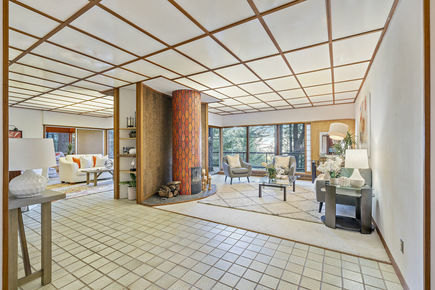 True to the mid-century modern philosophy, the home uses large Bay windows to “bring the outside in”, delivering calming forest views right to your couch and master bed. 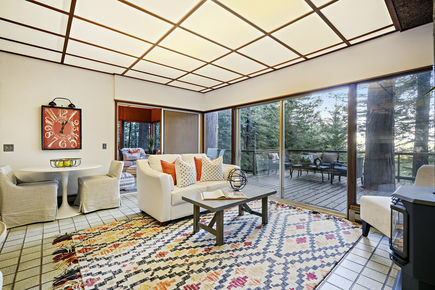 An expansive deck wraps around the view side of the home, offering a relaxing setting to entertain and soak in the beautiful scenery. 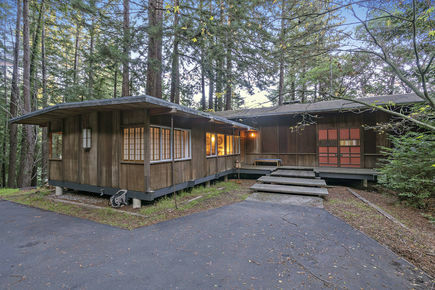 Across the driveway is a large shop/studio over a three-car carport, plus a trail leading to your private share of the Redwood forest, hiking trails, and open space lands. 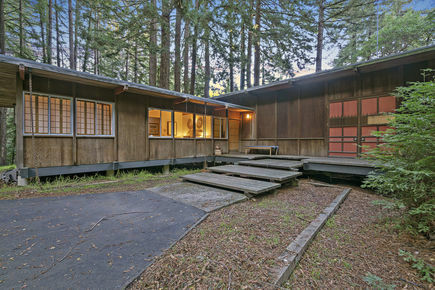 While the property enjoys peaceful seclusion from the commotion of city life, it is just a three-minute drive or healthy hike to Alices Restaurant, a gas station, and a general store.